Just like in any other type of gold mining activity, the key to doing well is in digging sample holes to first find a high-grade-gold desposit. In many places, there is more gold up on the banks than you will find in the river. This can sometimes be true on the Motagua River in Guatemala. Actually, it is not only that there is more gold on the banks than in the river. The gold on the banks can sometimes just be easier to get at for a small operation. 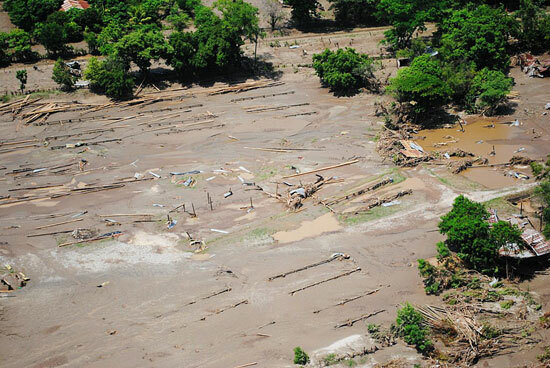 What happened along the the Motagua river, and in many other areas, is not difficult to understand. The old timers started mining down in the creek or river, and moved uphill, allowing gravity to carry the water and tailings back down towards the creek or river. As the old-timers worked further up into the banks, often the gravel became deeper and more difficult to remove by conventional hand methods. In time, the old-timers developed hydraullic mining. This is where they directed large volumes of water from nearby (or sometimes distant) creeks under great pressure through monitors (huge pressure nozzles). The high-pressure water was used to wash large volumes of gravel through large sluice boxes placed on the banks of the creeks and rivers. As the sluicing operations cut further up into the banks, the sluice boxes were moved forward, which left tailings deposited on the banks. Since the time of large-scale hydraulic mining, there have been several occasions of extreme high water. The 1998 flood in the Motatua river because the Hurrican Mitch is one example. Floods of such magnitude, all throughout gold country, re-deposited old hydraulic tailings piles into newly-formed streambeds up on the banks and within the active waterways. Places where gold was lost from hydraulic operations formed into new pay-streaks–often only inches or a few feet from the surface. 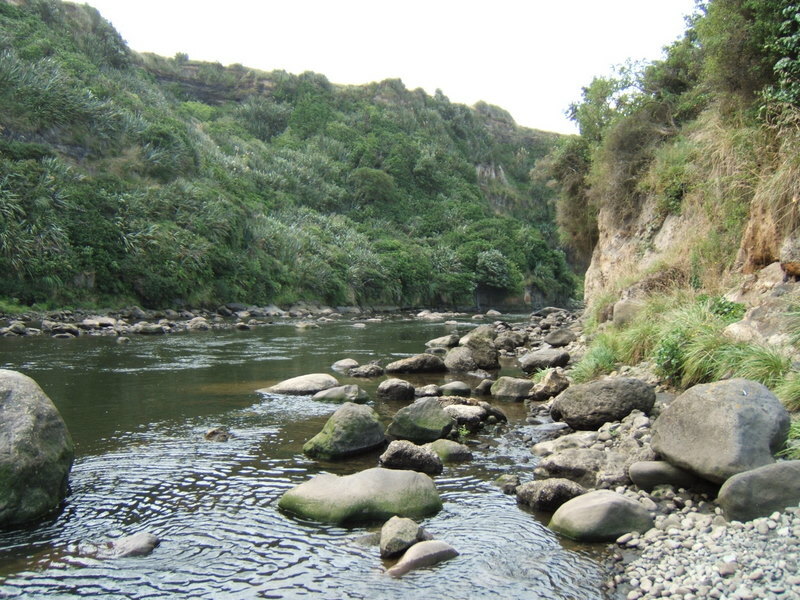 This is true all up and down the banks of the Motagua river–and probably many other rivers as well–which has created a wonderful and exciting opportunity for modern small-scale gold miners. 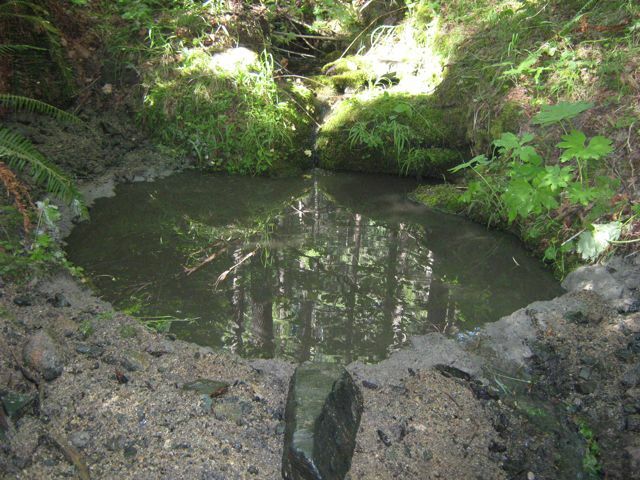 Finding pay-streaks with a surface digging project is usually done by setting up the sluice in several different locations, and giving each sample a large enough test hole to obtain an idea of how much gold the gravel is carrying. 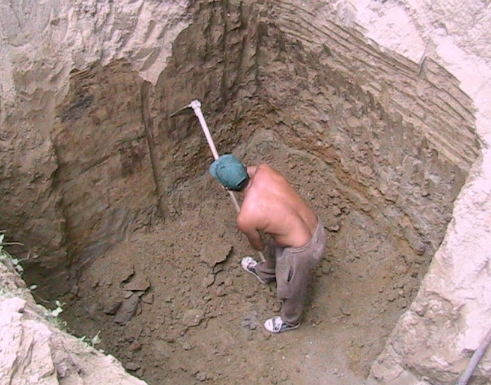 Sample holes should be taken to bedrock if possible. However, if the gravel goes deep, you have to avoid getting in too far “over your head.” At the point where you start digging deeper than 3 or 4 feet with a pick and shovel, any pay-streak is going to have to be exceptionally rich to make the effort worthwhile. Richer deposits are more scarce; and therefore more difficult to find. So it is important to stay within effective digging/sampling range, and not get yourself into a full-scale production operation before you have found a high-grade gold deposit. We have located great gold deposits in the Motagua.. While sampling with a pick and shovel, it is very seldom that you will actually see gold in the gravel as it is being uncovered. Usually, you do not see the gold until it is time to clean up the sluice box after the sample is complete. If you finish a sample hole and end up with a good showing of gold, the next step is to find out exactly where the gold came from. In other words, did it come off the bedrock, or did it come from a particular layer in the streambed? You must know where the gold is coming from to evaluate the value of the pay-streak. For example, digging two feet into a paying flood layer requires much less time and effort than digging four feet and having to clean rough bedrock. 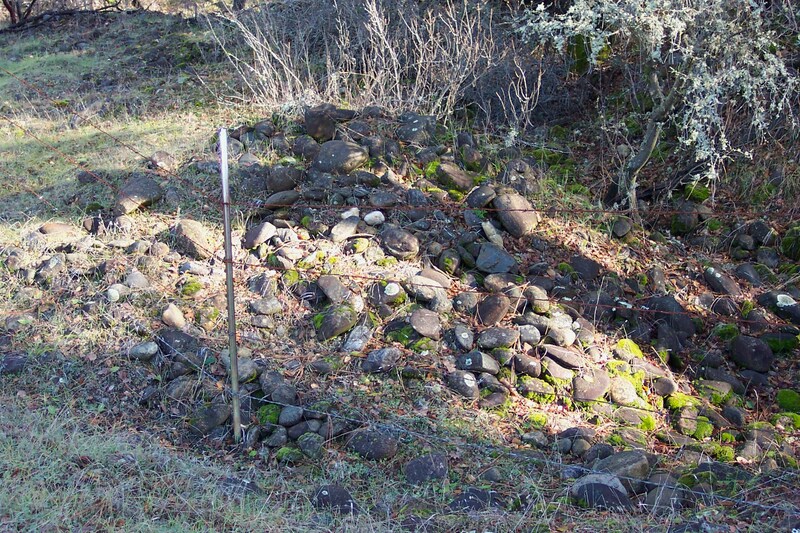 If you do not know for certain where the gold is coming from, and you assume it is coming from the bedrock underneath four feet of hard-packed streambed, you might decide it is not rich enough to work and walk away from a very rich deposit located at the two-foot flood layer. At the same time, if you are able to reach bedrock, you always want to get a good sample there by thourghly cleaning the surface and any irregularities there. Sometimes that is where the richest deposits are found. Pinpointing the source of gold is reasonably easy once the sample hole has been opened up. 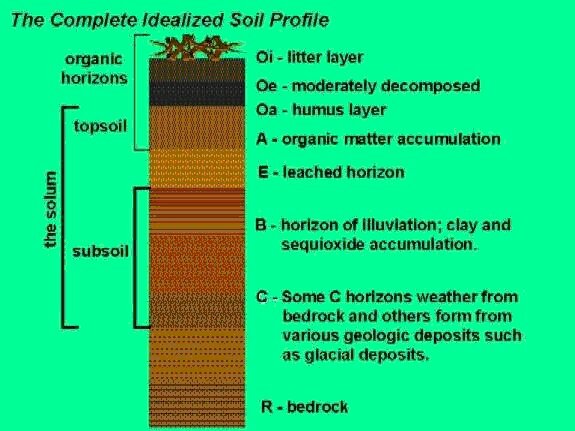 It is likely that the gold will be concentrated either along the bedrock, along the bottom of a flood layer, or at both locations. Sometimes, there is more than one flood layer that carries gold. You can run small production samples of each stratum separately to see which is paying. Or, sometimes you can simply take pan-samples in the different contact zones between the layers. One question commonly asked about sluicing procedure is the proper slope-setting for a sluice box. A sluice box generally requires about an inch drop per each linear foot of sluice. This is just a guideline. Basically, you need enough water velocity to keep the material active in the sluice behind the riffles, but not so much that you are washing most of the material out from behind the riffles. We like to get enough water flow to keep the larger material moving through and out of the box. If we see lots of rocks building up in the sluice, we know we do not have enough water velocity. An occasional rock needing to be helped along is alright in a sluice (although maybe not a dredge sluice!). In surface sluicing (non-dredging), we would rather toss out an occasional rock and have the peace of mind that I am also achieving maximum possible fine gold recovery. One mistake that beginners often make is in thinking that the recovery system is at fault because they are not recovering very much gold. Most often, however, it is not the recovery system. It is the lack of a good-paying pay-streak! The answer to this is to hustle around with more sampling. Flood layer pay-streaks are often easier than bedrock pay-streaks to clean up with pick & shovel surface mining operations. There are several reasons for this. One is that a flood layer pay-streak is closer to the surface. This means less gravel to shovel to reach the gold. Another reason is that it takes more effort to clean the gold off of a bedrock surface when you are not using a dredge. You can only do so much with a shovel. They give you the ability to clean bedrock surfaces and cracks with minimum effort. If the gold is coming off bedrock, you must invest the extra effort to clean it off well. Otherwise, you stand the chance of leaving an important portion of the gold behind as you mine forward on the pay-streak. Pick & shovel mining is a lot of fun – when you are finding gold. 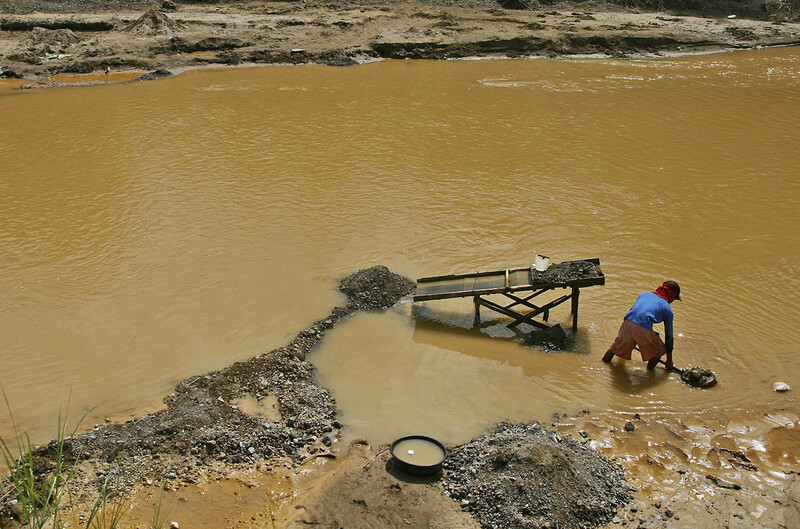 A healthy portion of our miners along the Motagua River mine out of the water. The reason for this is that it gives them an opportunity to find pay-streaks without having to commit to an underwater dredging operation.